ePublishing Knowledge BaseePublishing Knowledge BaseePublishing Knowledge Base Creating Image Galleries, Videos, Podcasts, and Downloadable FilesHow can I change the default thumbnail size for image galleries? How are these sizes used? The medium-sized image is used in the slideshow. The original image can be shown as a "view full size" image. 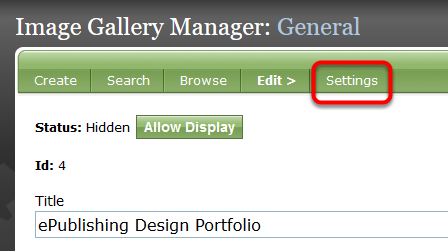 Learn how to create an image gallery: How do I create an image gallery/photo gallery? 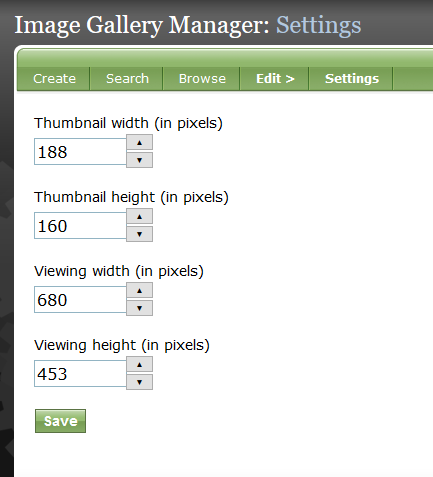 You can reset the Image Gallery image sizes we automatically generate for uploaded images files under Image Gallery > Settings. 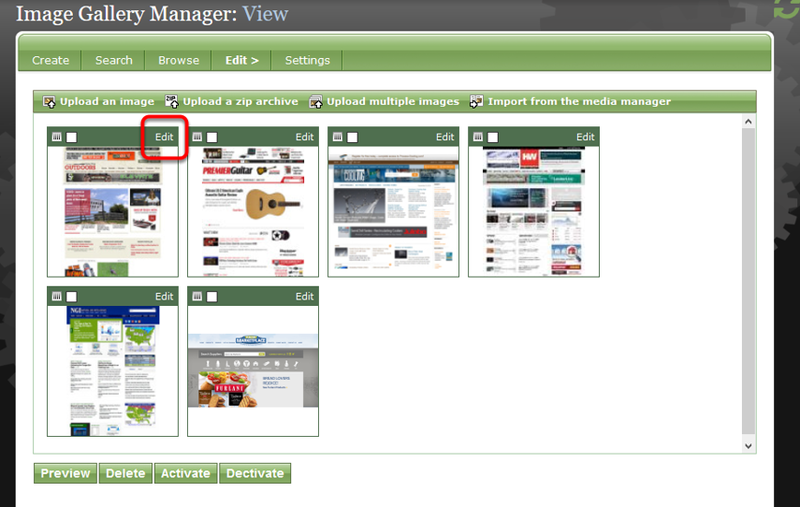 Any images uploaded for your Image Gallery will default to these settings. 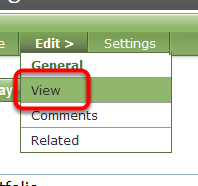 Go into Edit > View in your Image Gallery. Select Edit next to the image you'd like to update. Zoom: Select Edit next to the image you'd like to update. Scroll down, and select the checkbox next to Generate medium-size from full image and Generate thumbnail from new full image, and click Save. Zoom: Scroll down, and select the checkbox next to Generate medium-size from full image and Generate thumbnail from new full image, and click Save. Prev: What are some lessons on adding podcasts to my website? Next: How do I add a podcast episode to my site?